Hello everyone! How you are doing? Its been a long time since I have made a post, been busy with the work and some other life chores. 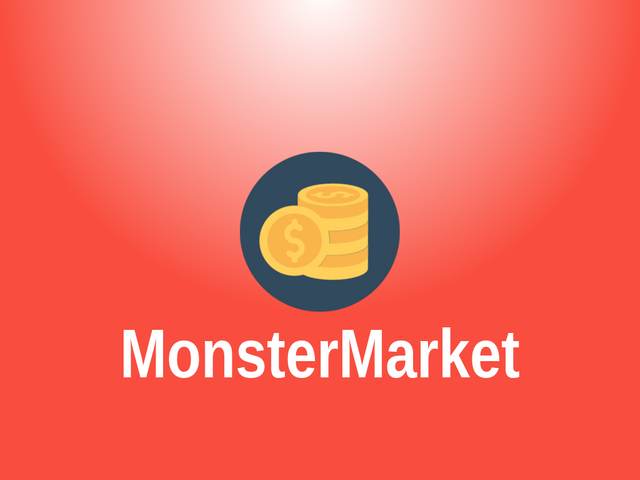 Steem Monsters is the most popular game of Steem as of now. I am not a gamer, also not heavily invested in the game. But recently I have started playing it and somehow got addicted to it. Use !list to list all the available Steem Monsters cards and their associated IDs along with its name. If new cards are added you can also use !refresh to refresh the cards list. When you are decided what card you need, you can use !buy CARD_ID GOLD EDITION to list 10 cheapest available cards from the market. You need to respond with the serial number of the cards using a space among them. In the screenshot, I am buying 5 alpha edition (0) non-gold (0) Naga Warrior (ID 21). You can also add individual card id after the edition code to buy specific card e.g. !buy 21 0 0 C-EGFHJWKMIO. For gold card use 1 for GOLD part of the command, else use 0 for a non-gold card. Make payment in SBD/STEEM whichever you prefer. You'll receive the card(s) and 2% cash back almost instantly. After payment, you can verify your purchase using the provided verify command. The bot auto refunds if you pay more or it failed to buy a card, but sometimes it fails to refund. In that case, you have to contact me or any BDCommunity official for a manual refund. 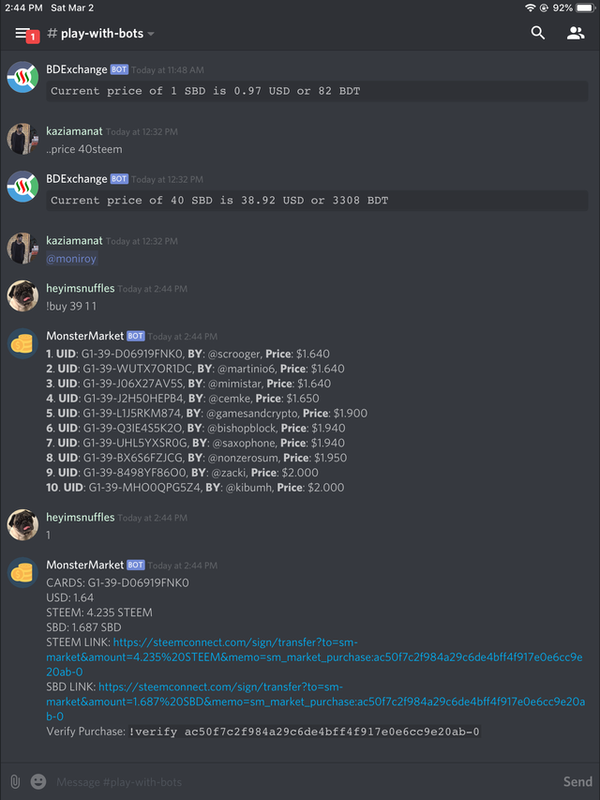 To use the bot, please join BDCommunity Discord server. More detailed tutorial or a video tutorial may come from the @bdcommunity account. So stay tuned for those. Thank you @zaku, @sourovafrin, @mhossain, @sheikhsayem, @ayasha, and @xawi for testing the bot and finding bugs. I am sure there are plenty more. Great work. Keep it up. BTW it is a little long procedure to save only 2%, but great effort. Yea it can be but i'm notthat rich. :D ;) But great Work. I really appreciate it. This is so cool! 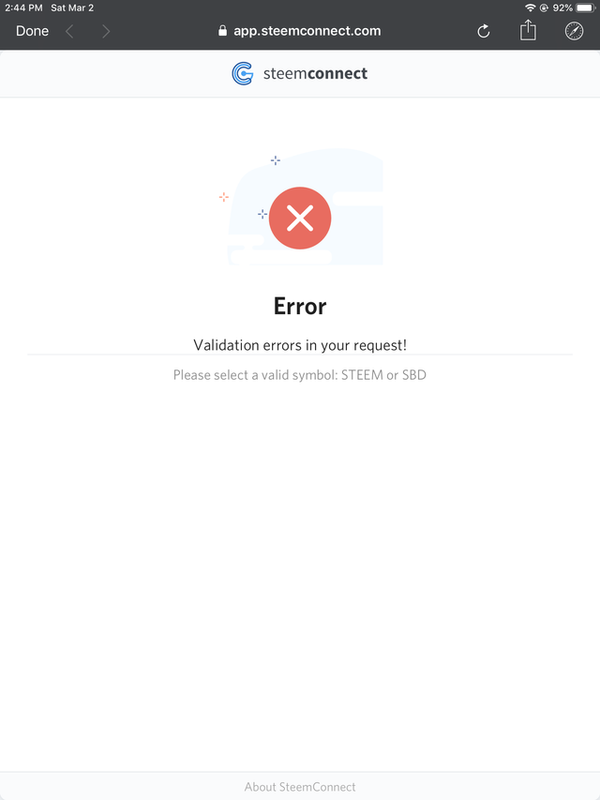 Really appreciate your efforts and will to make an easy and reliable tool to elevate the steemmonsters experience. I have used the bot and absolutely loved it. The cashback feature is just a cherry on top! I am not a gamer, also not heavily invested in the game. But recently I have started playing it and somehow got addicted to it." 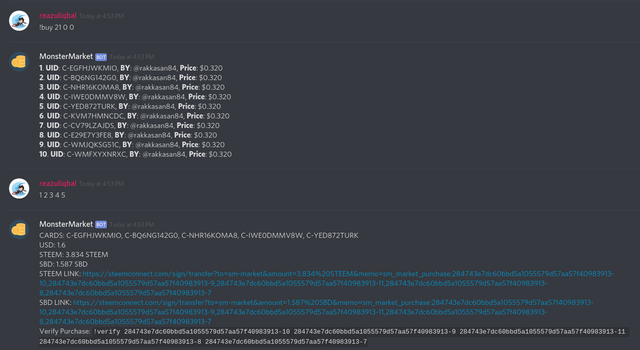 Thanks for the great Discord Bot it definitely a nice tool to have, good Job!!! Hi, I am not sure what link you are talking about. 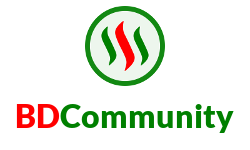 Hi @reazuliqbal, your post has been upvoted by @bdcommunity and the trail!